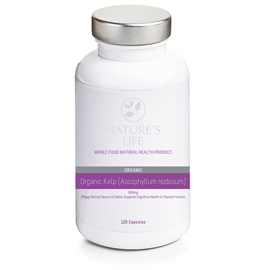 Natures Life is a brand that encompasses every key nutrient we could possibly need in order for our bodies to function optimally, which are all derived from nature herself. 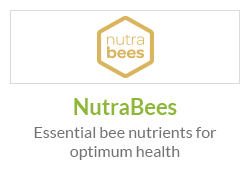 Pure, untouched by pesticides or herbicides, grown freely in nature’s own soil, containing no fillers, preservatives or colourings, each capsule is packed full of nature’s own potent produce to ensure your body only receives what nature intended. 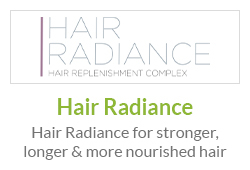 Clean, pure, natural ingredients packed full of health benefits, each product is a potent blend derived straight from nature. 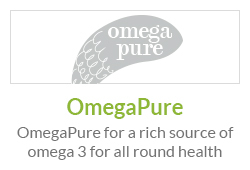 Where specified, key products in the range are certified organic such as Kelp or Alfalfa. As the ingredients ‘are’ organic, they undergo further rigorous growing practices to ensure their efficacy, and even more care is taken to ensure their purity, so that natural contaminants such as heavy metals are not present in the ingredient. The Natures Life range also consists of Ginkgo Biloba, which is highly concentrated to help improve cognitive function, Siberian Ginseng to help improve energy and mental wellbeing and Spirulina which is so nutrient dense that it supports overall health better than multivitamins. Beauty Elixir is part of our new skin care range which contains Resveratrol alongside Peptan Collagen for enhanced anti-ageing benefits. 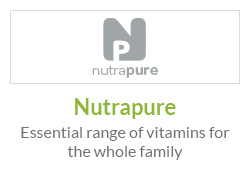 At Natures Life we provide high quality, well-researched nutritional products and we are committed to providing our customers with the best, natural & most effective supplements for optimum health & skin care, whilst supplying these to the highest standards possible. 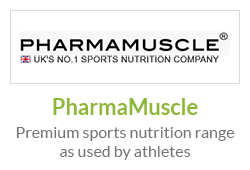 We aim to make a substantial contribution to the health & wellbeing of all those who use our supplements. I started taking Beauty Elixir because my friend recommended it to me and I have been taking it for about 2 weeks now. I have to say the results are great. I feel so much more energetic because my body is getting all the vitamins it needs. I am seeing some gradual improvement in my skin. I hope the benefits continue. What can I say! A fabulous product. Some amazing ingredients and equally fantastic results. Really nice little item here! Glad I decided to try it out. I have bundles more energy at the end of the day and feel much better in myself. I think that effect is reflected in the improvement in my skin - my complexion is clearer and more radiant and is smoother and softer since I started using this. I have done a lot of research on the things inside this before I bought it. I found that there is a lot of research done on Resveratrol and lots of scientific papers have actually proved it to be an anti-ageing molecule. I decided to buy it based on this and I have definitely benefited from it. 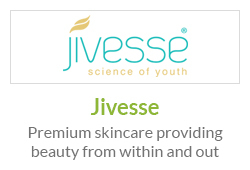 Since I started taking Beauty Elixir I have noticed that firstly I feel livelier. I wake up with a spring in my step and I am a lot more cheerful. Also I have noticed my skin has started to improve. Wrinkles have decreased a little and my complexion is clearer! My skin is softer and plumped out more. I have seen that wrinkles are much reduced. Its not an overnight miracle cure but it is definitely having a great effect. Love this product. Recommend it to everyone I know. 5 stars!! 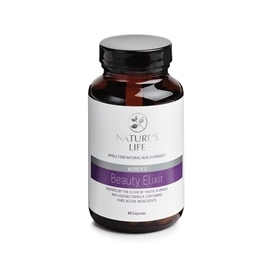 Beauty elixir is a top product. 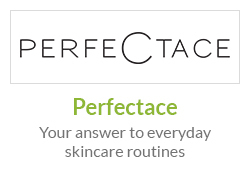 I have tried lots of night creams and day lotions that claim to reduce wrinkle but never saw any real improvement apart from an improvement in skin moisture. With beauty elixir however, not only is my skin more moist and supple, the appearance of my wrinkles has reduced too! It’s a fantastic products and one that I need to stock up on. This is a miracle pill. I have been taking it for a little while now and I feel absolutely fantastic. I feel so energetic and lively!! Im certain it has improved my skin too because my friends have commented on how nice my skin looks too! I have very dry flaky skin and occasionally have breakouts of spots too. I have tried lots of creams to help but my skin gets bad again if I forget to apply the creams. I tried Beauty Elixir in the hope of it being a long term solution. It look a little while but my skin has got so much better. My skin feels softer and is more hydrated. And if I forget to take it one day my skin doesnt go dry again because it has really made a change on the inside to my health. I could easily just take a multivitamin and mineral supplement but this plant is amazing and provides so many vitamins and minerals in abundance which is why I take it. I find its more effective to enhancing my health compared to general vitamins and minerals. I didn’t know what alfalfa was until I found this product. I took a chance on it and I must say I am pleasantly surprised with how I feel since taking it. I have even noticed I go to the toilet more regularly now and I feel better for it. Certified organic means it truly is organic and free from any nasty pesticides etc. It is one of the healthiest, nutritionally dense supplements around and I would recommend these to anybody! I take it just to enhance my general wellbeing and i feel fantastic. I was looking for an all-natural product that could help with my cholesterol levels. Natures life Organic Alfalfa is 100% natural, that’s all I asked for and that what I got in these alfalfa capsules. Since taking them for a few months my bad cholesterol is steadily normalising. I am extremely happy. For some reason I feel less hungry throughout the day since taking these. No real snack cravings and I feel fuller for longer than I used to. Its not something I expected from taking these as I simply took them as alfalfa is so great for the body, but I do feel better now that im not really snacking on junk. I had been skinny since I could remember and was always unable to gain weight. I wasn’t told I had a thyroid issue but I started taking Organic Kelp as I read it contained Iodine which can help with thyroid issues. Since I started taking it I have felt better in myself and have put on a few ‘healthy’ pounds as I assume my metabolism is better than it was. I suspected I had a slow metabolism as I am overweight, and even though I started eating right for months and exercised regularly, I couldn’t lose much weight. So I started taking these capsules. They had an amazing impact and somehow improved my metabolism so now I’m finding it easier to lose weight whereas before I struggled a lot. Natures Life Organic Kelp are certified organic so I can’t get purer than that. 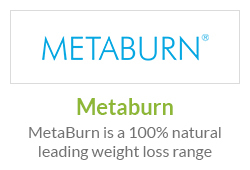 I have found it has helped me manage my weight better. Iodine is a great mineral for the body that is often overlooked. I have found that since taking these capsules I have been able to lose weight and feel much better within myself. I love that these capsules are organic, natural & pure and helps me manage my weight effectively. Love love love gingko. I’ve always taken it. I prefer these Natures life Gingko Biloba now though as they are all natural and 100% pure. I feel more focused than ever! Great for getting through lectures, course work and for waking up clear headed the next day. Ideal supplement for students like myself. Working in an office can be mundane. I found focusing at work was also becoming a chore. Taking these just help me get through the day more ‘alert’ and energised. As a student I take these not only to deal with student life but mainly to help retain information from lectures and studying in order to pass exams. I take these daily to function better at work. They help me focus on the job as well as help me feel I have more energy (which continues after work – it doesn’t just stop working when work stops which is great). Work was becoming stressful and I was taking off days because it was making me sick. I started taking Natures life Siberian Ginseng in the hope that it would help. I can honestly say it did. I am now back at work regularly ready to face it head on. I take Siberian Ginseng to help me feel more energised. It works! I used to let every little thing in life stress me out and the stress would make me feel ill sometimes. A friend told me about Siberian ginseng and how it may help me deal with stress better. I wanted a pure product which is why I chose natures life (I didn’t want to take just any old supplement with added unnecessary ingredients) I wanted it to be effective and it was. I feel so much better within myself. Who knew a supplement could help so much? As a working mum I needed a little help to get through each day. Stress you feel from work and as a mum to 3 demanding kids is unreal and so what with being exhausted mentally and physically I decided to try Natures Life Siberian Ginseng and can safely say I am happy I did. I just feel more able to persevere and get through each day. I’m much calmer also which my kids especially like. I got a promotion at work which was great but far more demanding than my previous role. I felt overwhelmed and as a result my mind became chaotic and I was unable to organise myself. I took Siberian ginseng and my mind set somehow changed. I started to feel better equipped for the role, my mind was less clouded and I could think clearly. I am now flourishing at work. I am lactose intolerant but wanted a Spirulina supplement as I have read great things about it. What I love about Natures life is that this supplement is suitable for me and made from only pure Spirulina. Since taking I have noticed my general wellbeing is improved. As a vegetarian I struggle for premium supplements so when I find a high quality one that I can actually take, I take it. This Spirulina is pure and natural. I have so much energy since taking this that I have even taken up jogging! I feel better than I have in a long time. I feel wonderful since I started these Spirulina capsules daily. I have been eating healthy and exercising more but losing little weight but as I continue to take Spirulina I have also noticed more weight loss than before so I am extremely happy. 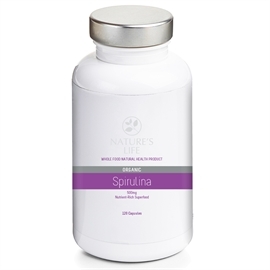 I take Spirulina to help support my general health and it helps. I do feel less malaise, less fatigue and more energised which makes me more inclined to do more with my days. I’m living life and loving it. My hair and skin have absolutely flourished since I started taking these capsules. It is amazing actually because I didn’t start taking them for that reason, I just took them to help support my health generally. This was an unexpected bonus!